1. CO2 (carbon dioxide) is the most important nutrient source to water plants. Plants will not grow with insufficient CO2, even if other trace elements are still supplied daily. However, it can be harmful for fish if the CO2 concentration is too high. Knowing the accurate concentration of CO2 is very important. The optimum CO2 concentration is 20~25mg/L (ppm). 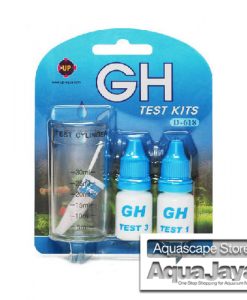 The higher concentration of 25~30mg/L or higher is suggested to supply plants which need a high light intensity. 2. 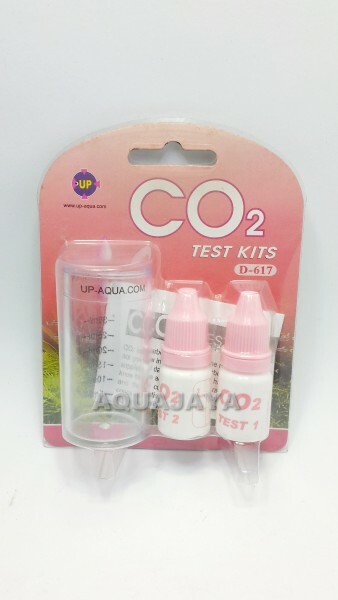 UP CO2 Test Kit offers the best suggestion for using CO2. 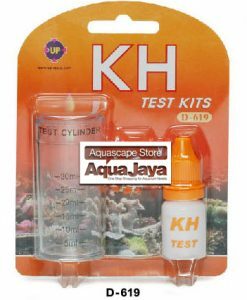 Our Kit assures a great start for a successful plant aquarium. Continuously add 1 drop of CO2 TEST 2 at a time, gently shaking between drops, until the water stays pink for 60 seconds without changing.